Over the last thirty years, call centres have changed dramatically. Advances in technology and online communication channels have brought about a shift in customer expectations. Successful call centres have adapted to meet these new challenges. The result is that today’s call centres are more dynamic and adaptive with a streamlined and strategic approach to handling queries. The role of call centre agents is more complex than it ever used to be, necessitating changes in recruitment practices in favour of more qualified candidates with diverse skillsets. So how exactly have call centres evolved over the years and how are these changes affecting the trajectory of call centres today? Call centres (in a form that we might recognise) were initially established in the 50s to deal with operator enquiries at major telephone companies. The technological advances of the 1970s and 1980s saw call centres established as integral to many large businesses and corporations. In 1985, Direct Line became the first company to sell insurance exclusively via telesales. The relaxing of regulations on the UK telecoms industry in the late 80s precipitated a boom in call centres, making the UK call centre industry one of the largest in the world – second only to the USA. In the 1990s however, the advent of the internet had an irrevocable impact on call centres; first attracting huge investments from venture capitalists only later to send many call centres into administration with the “dot com crash” of 2001. Despite these events, the call centre industry was still in growth. In the 2000s, it became common practice for companies with large call centres to transfer operations abroad with South Africa, the Phillipines and India among the most popular locations. Although cheap labour costs in these countries made them an attractive prospect to business-owners, overseas call centres soon sparked a consumer backlash spurred on by difficulties associated with language barriers and the concern that jobs were being taken away from the UK. This remains a controversial issue, although a number of prominent businesses have transferred their customer service operations back to the UK. Ultimately, the call centre is a staple of modern business practice and customer service in Britain. Today, call centres provide a vital source of employment and rewarding career opportunities for able young graduates and customer service specialists. Recent findings from ContactBabel show that over a million people now work in contact centres in the UK. 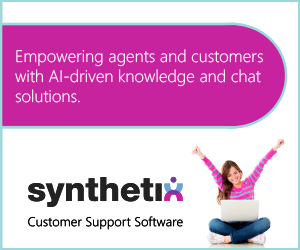 Social media, instant messaging and other online communication channels now form part of many call centre agents’ roles with customer support being delivered across multiple platforms rather than via telephone alone. Agent salaries are expected to rise to reflect the increased complexity and growing demands of the role. Other developments include the use of “homeworking” agents with a network of individual agents connected by cloud technology, each working from their homes. 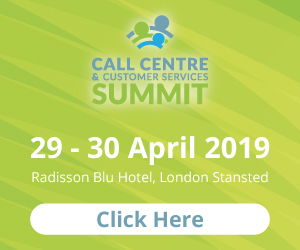 All in all, the UK call centre industry has demonstrated its ability to adapt to huge social and technological changes over the last thirty years and will continue to be a mainstay of modern business practice.